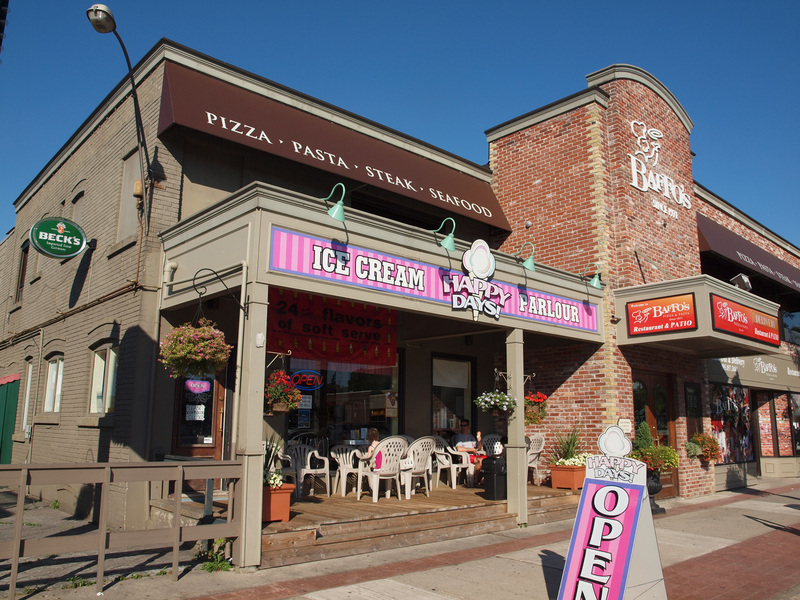 If you are looking for a cool snack on a hot summer day then the Happy Days Ice Cream Parlour in Bolton/Caledon, Ontario is the place to go. They have over 32 Flavours of hard ice cream as well as soft ice cream, frozen yogurt, old-fashioned milk shakes and homemade waffle cones. Always a nice place to stop for a quick snack, the prices are reasonable and the portion sizes are very generous. They are located at 33 Queen Street, just north of King Rd. Click here for their website.